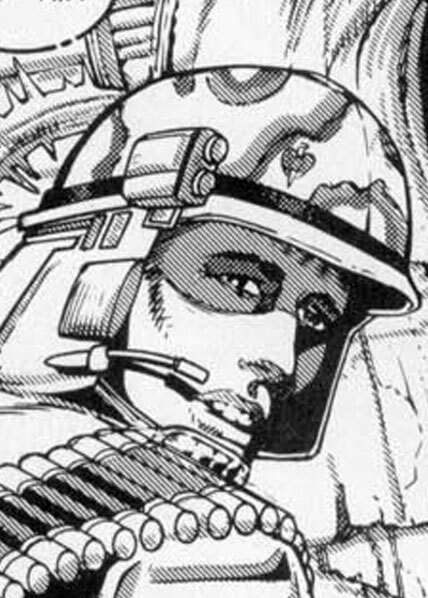 Butler was one of several synthetic Marines created as part of a special task force trained to retrieve an alien for the Terran Govt. Butler was one of 2 survivors and became quite close to Billie (Newt) although not revealing his secret of being an android until he was attacked by an alien. After returning to Earth he ran afoul of General Spears and eventually joined the mutiny against him. He was left behind in the skirmish that followed between the military and the aliens. His current whereabouts are unknown. Because Butler is an android, aliens will not directly target him unless he is the lone character remaining, or presents a barrier between them and the next nearest target. Although his programming is that of an android, Butler's designation as a marine and his emotional attachment to Billie (Newt) allows him to perform actions that may harm another character.